The body of James Leonard aka 'Jamesy' was found late yesterday afternoon May 17, 2017 off Cooper Island where he lived. Mr Leonard was said to be a strong swimmer and his suspected drowning fuelled speculation that foul play may have been involved. But according to information reaching this news site from at least three persons who were allegedly at the Beach Bar area at Cooper Island on the ill-fated day, ‘Jamesy’ was out on his boat "having fun" when something went wrong and he fell off the boat and into deep waters. According to our sources, it appeared that the man's head collided with the propeller of the boat’s engine and he went under. Persons reportedly quickly dived to his aid while others called VISAR for help. "We got to him before VISAR arrived and we were trying to revive him, VISAR came and they took over and rushed away to Tortola with him but he was gone, we knew he was gone," related one of the eyewitness. They described him as a man who made everyone happy with his jovial spirit but also noted that he loved his drinks too. According to a press release from the Royal Virgin Islands Police Force today, May 19, 2017, members of the Criminal Investigation Unit on Wednesday May 17, 2017, around 5:25 PM were summoned to Peebles Hospital after it was reported that an unresponsive young black male was brought to the hospital from Cooper Island. “Investigation revealed that the young black male, identified as 38 year old James Leonard Sr of Cooper Island, was found floating in the waters off Cooper Island. VISAR and Police were summoned and upon arrival made attempts to resuscitate Leonard, who was eventually transported to Peebles Hospital. There he was pronounced dead on arrival. “Police are carrying out investigations into the death of James Leonard Sr. The death was reported to the Coroner,” the press release stated. 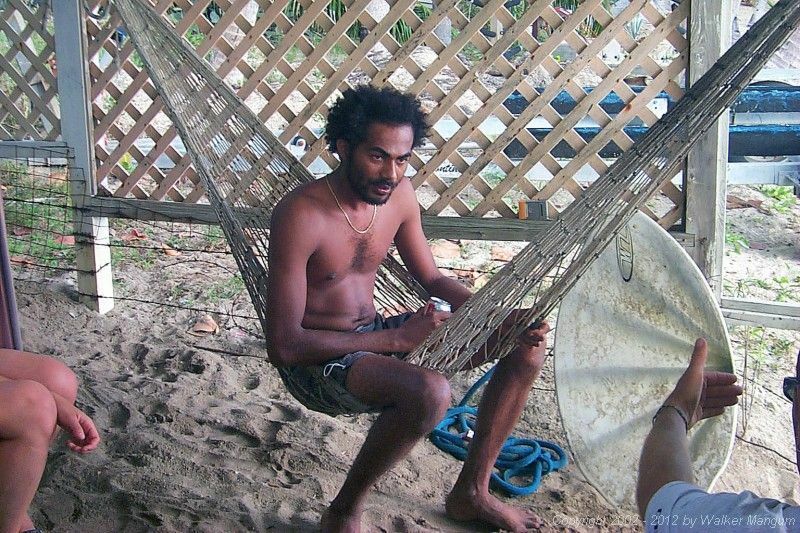 Information reaching our newsroom is that the body of James Leonard aka 'Jamesy' was found late yesterday afternoon May 17, 2017 off Cooper Island where he lived. The circumstances surrounding his death are unknown; however some believe it may have been the result of drowning. The young man was pronounced dead at Peebles Hospital after the body was transported to Tortola by Virgin Islands Search and Rescue. Mr Leonard, a Virgin Islander, attended the Elmore Stoutt High School on Tortola. We have to start looking beyond what we see. It could appear to be drowning, however the question of "did someone drown him?" until we could rule it out. I live there for a long time, he could swim, then how would he just drown just so. I remember the case when two tourist was swimming in our water and wife drown. We ruled it as drowning until America brought charges against the husband and we were later able to have a conviction. Lets stop looking on the surface and dig deeper. Some tourist drown their spouse for insurance money. Why they come to the Caribbean to do it? Because they know that we only check the surface of things. That's why we have so many unsolved murders. It could be foul play but also we have to take into account that James was a great swimmer, and also a heavy drinker. Update, was he murdered. A serious wound was found at the back of his head. It's very sad to hear of this, my condolences goes out to the family. It may be considered drowning at this juncture, as we all know him to be a very good seaman. Now the question is what could have caused/contributed to the drowning. Guess we all are left to see the outcome of the autopsy result. I was here wondering the same thing. This is a man whether he drunk or not knew how to handly himself in the water where is grew up and respected ti. This whole thing sounds fishy! Yeah, I agree with you, The Judge. How come he drowned? Is there an issue on Cooper Island that needs to be exposed soon? Vino better go over there to find out what's going on. Be careful with those who want to buy your grandparents land and bringing radios and trinkets as tokens. Hold on to your land as long as you can. No suitcase of money can pay for the blood of the millions of our people who perished in the Atlantic Ocean . Don't part with your reward so easily. Fight on, people. Fight! @Lawdman and the Judge. I'm in agreement with both of you. I hope the authorities when doing the autopsy check the body thoroughly for any signs of foul play. We aren't selling our property and just know that not because he's gone means that they can do what they want over there. There are many of us where he came from and we will be checking in from time to time. Don't bother thinking to squat either. The police needs to patrol those islands once in a while. Get a police drone for Pete sakes. It is now being reported that he had a wound to the back of his head. Who did the land in the BVI originally belong to? The tainos or caribs and arawaks who columbus met here. But columbus and his men killed every last one. It then fell to those who were brought here and have worked the land since columbus. The new holy grail is to own an island, so they will kick you off or kill you off. @Wallnut, so true. He knew how to handle the water. I fail to believe that he just drown like that. Yes, he had issues over there and the law need to investergate. Please police, don't let this go just like that. I might be wrong but, I fail to believe he just drown. Poor dude, R.I.P. 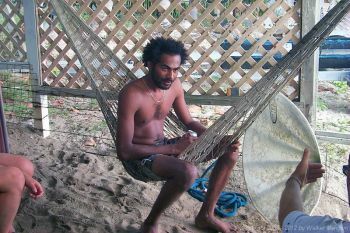 I knew James, I use to work and live in Cooper Isalnd Beach Club, I will miss him, he was a kind men with open heart. This men can drink whole day but he knew what he was doing and he was great swimmer, he use to go early morning for fishing. I am very shocked that he got drowned believe me it's hard to believe a person like James who was very strong, good physics. but yeah for sure if you hit your head it's hard to survive even if you are in land. I pray for his soul rest in peace. Yes he use to drink and, only saying, if foul play was involved, they figure people would say and think he was drunk and drown. This guy was a good swimmer. It is hard to believe he drown.Something is very fishy about this. I don't know if it's foul play or not because the people who drown are people who can swim and he could swim like a fish. Come now. Didn't they say a tourist fell over the dock somewhere over there and hit her head too while her so call mate called for help. Wonder if this yute tried to help her from drowning and maybe he knew a lil too much about some foul play. let's not rule out anything at this time, I am a virgin islander living abroad but keep up with the happening's back there James and I go back a long long way,iam also a captain sailed the BVI's waters for many years and spent a lot of time with James and his father good people my condolences to his entire family may he rest easy remembered death is an exit from this life to another. What colour are those witnesses? Your comment is stupid.....and I am black ! Some of you blacks like to pretend that there is no racism. You must be living in a vacuum. Do you think whites are going to like you better if you bury your head in the sand? The witnesses put together a good story, but something does not add up.It is said he was found floating, now they are saying they dive in to rescue him, how long was it before the dive in? Since they saw him fel from the boat, then they would see that his head made contact with the prop and should know that he was in grave danger and get to him right away. Had they done that he would survive. If that's their story then it means that they did not go in after him right away. So he took in too much water in his lungs. They fished him out when his lifeless body surfaced. Talk that!!! RIP Jamesy. To everyone speculating, it doesn't matter how good you can swim, if you hit your head or are otherwise injured, then it is easy for you to drown regardless of how good you can swim. Sh*t happens. Let the coroner do his/her job. Losing Jamesy is tough. He was one of the kindest, most tender hearted people that I have ever known. Cooper will never be the same. My heart goes out to Miz Carol and the rest of the Leonard family. Did anyone notice a discrepancy in the account?? The 'eyewitnesses' said they got to Jamesy before VISAR got there. They said they called VISAR but dived out for him before they came. So did the witnesses lie about diving for him before VISAR came?? What is really going on here. Makes no sense to me. If the witnesses went out for him and found him...why was he still floating in waters....? I am here thinking the same. Dont add up at all. Cain struck Abel to the ground and killed him. Rubbish. Our ancestors moved along. The entire New World is ours. Not because we don't inhabit an island or an area does not means its not ours. Enjoy your stay on our island. We are peaceful people. Well, real taino, you must be a ghost. The taints in these Islands didn't exist after the Europeans arrived.